Elkland, Pennsylvania was the easternmost point on the Wellsville, Addison & Galeton; a continuation to Addison, New York was abandoned in 1960 due to an unsafe bridge. 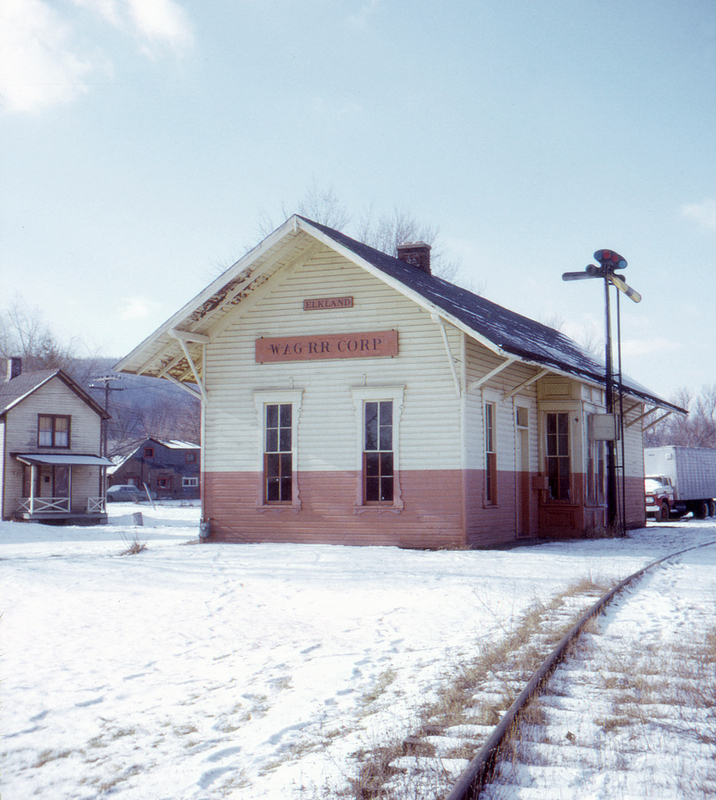 A New York Central branch also reached Elkland, but this branch was progressively cut back to Elkland between 1933 and 1964; at one point it continued all the way to Ulysses, Pennsylvania, where it connected with the Coudersport & Port Allegany. The orange and cream paint scheme was standard with the Salzberg family's properties.